Product prices and availability are accurate as of 2019-04-20 21:20:58 UTC and are subject to change. Any price and availability information displayed on http://www.amazon.com/ at the time of purchase will apply to the purchase of this product. Focus on crocodile leather 20 years,Rare leather leader! CROCUST has more than 20 stores in China. 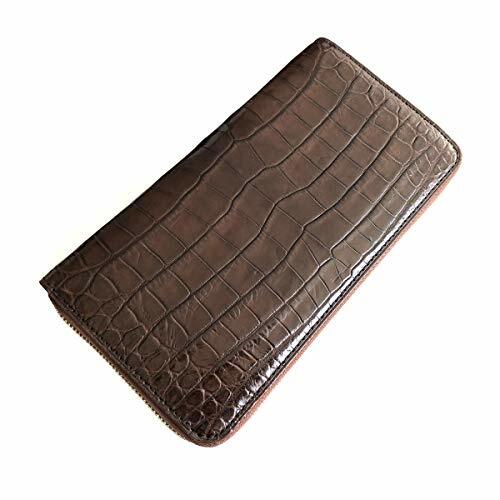 High quality crocodile leather,topest design,handcrafted,all together make every piece crocodile skin an permanent works of art! 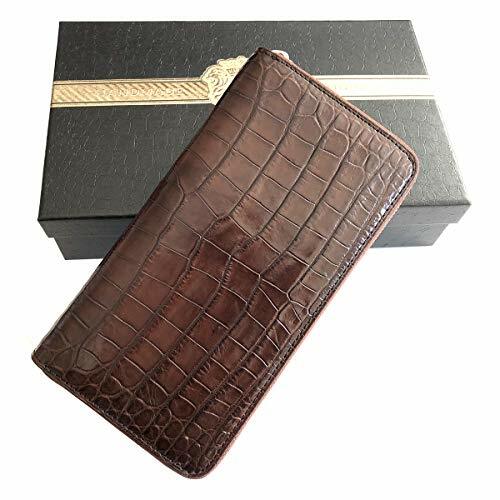 A high quality crocodile Leather bag can be with your 50th birthday if maintained properly! 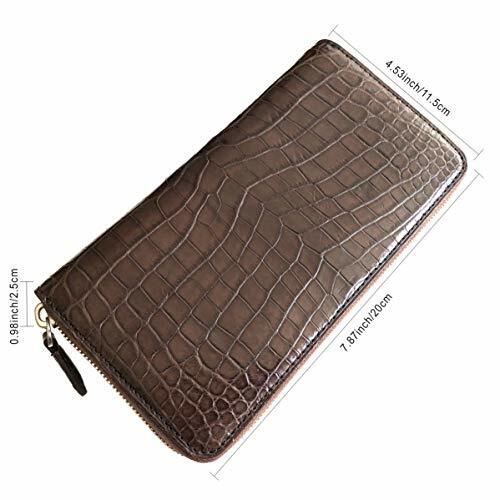 1)Outer Material:Crocodile Skin(Crocodylus Siamensis),very wear-resistant and not deformation,the skin texture is very vivid and natural;soft luster will never fade; the bone spur in head,back and tail make bags more dignity,while the crocodile belly is softer, and more rare & expensive. 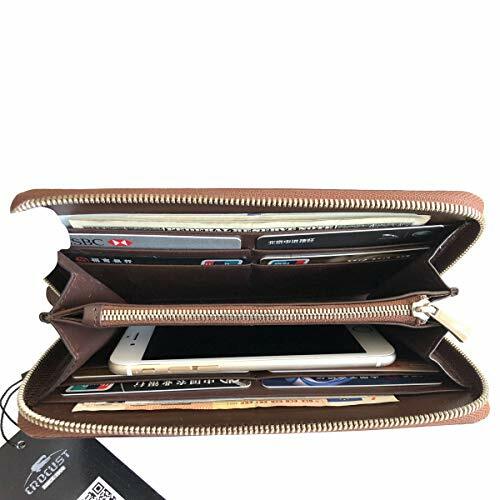 2)Inner Material:Full-Grain calf leather,clear texture,the luster is very good,sturdy and durable,hand feel soft and flexible. 3)High quality hardware:high bright scratch resistant, smooth and durable, never fade, not rust, lasting shiny and aging resistant. 4)Handcrafted:ingenuity tailoring and exquisite sewing to achieve perfect fit of bags style and crocodile skin texture. So that the original rare crocodile skin is more unique, valuable! 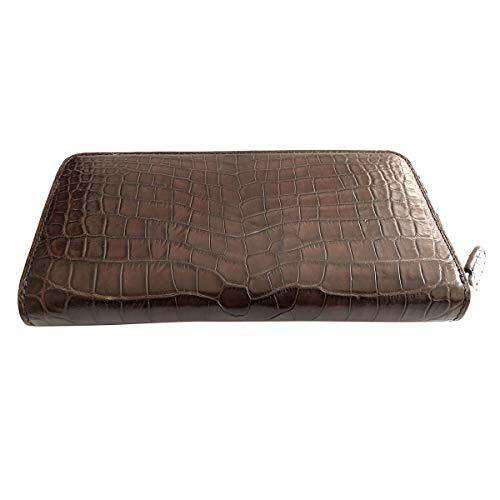 ?Made of crocodile skin(Adult Artificially Farmed Siamese Crocodile): the king of leather,luxury and rare. ?There are no two identical crocodiles in the world, so no exactly the same crocodile leather bag.Please note the skin texture on each bag are slightly different from each other!
? [ATTENTION]: CROCUST is an Registered Trademark and our ONLY Authorized dealer is MEIJIA MEILIN. Please pay attention to avoid purchasing those COUNTERFEITS from other sellers. 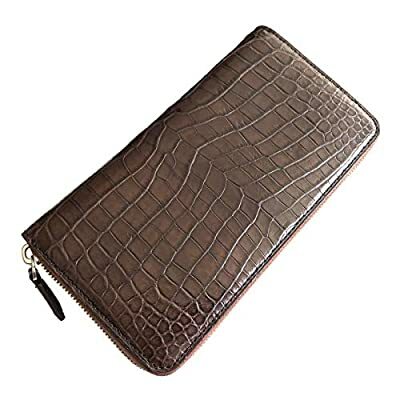 100% genuine crocodileskin from MEIJIA MEILIN. Should you have any disappointment about the quality,we will offer a full refund. Unauthorized sale without permission will be investigated for legal responsibility.